World Awakens in Virtual "Sleep"
at a light behind a rather large vehicle. My eyes were immediately drawn to the frame around the license plate. It was a digital display in bright red lights that formed the words of a continuously repeating message. Intrigued, I stared and read with a sigh, “the world is mine.” I wondered if the monotonous mantra was circling in the driver’s head, as well, feeding a dangerous sense of entitlement on the road as well as of place in the world. 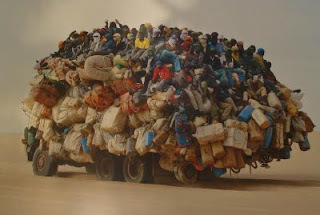 Indeed, as the king of the road took off, quickly leaving me and others well behind, I thought about the ironic juxtaposition of his rather large sense of self in relation to the week’s Torah portion, Vayikra/Leviticus (ch. 1-5). From the very first word of this first portion in the third book of the Torah, there comes a teaching of smallness, not as in unimportant, but as in the importance of each one and of the greatness found in drawing near to each other. The last letter of the first word, vayikra/and God called, is the Hebrew letter aleph. Unlike anywhere else in the Torah, the aleph is written small. Even as it appears in the Torah scroll itself, this tiny orthographic detail is seen as a reflection of Moses’ humility. Vayikra/and God called suggests an intimacy unknown by others, of God seeking and calling out as one would call to a friend. Embarrassed to appear so special, according to the warm teaching of Midrash, Moses at first refused to write the word Vayikra into the Torah. Told to write, he said in effect, “okay, but I’m gonna make the aleph small. From that beginning, as in much of the book of Leviticus, the portion is primarily concerned with offerings. As though its own teaching on the finding of beauty in places unexpected, there emerges beyond the details of a system so foreign to us layers of teaching concerning human relationship. From the small aleph as the starting point, words themselves lead us to look beneath the surface and wonder of the ways in our time and place of drawing near to each other. The most common word for “offering” as repeated throughout Leviticus is korban. The root is of the word, karov, which means “near” or “close.” The korban was a means of drawing close to others, and in that way so to God. In addition to supporting the priests, most offerings were to be eaten as part of a meal shared with others. There in the Temple precincts people were to pause and partake together. More than partaking together, all of the offerings but one may be offered collectively. In a beautiful phrase, the rabbis said, ha’kol ba’in b’shutafut/all may be brought in partnership. The one offering that is to be brought only individually is the grain offering. Only of this offering does the Torah speak of the person who brings it as a nefesh, a soul. As the essence of a person, soul speaks of that which is most unique about each one, that which describes our individual being. Even as we reach out and draw near to each other, becoming as the small aleph to make room for others, there is a reminder that at the same time individual uniqueness is not to be offered up on the collective altar. 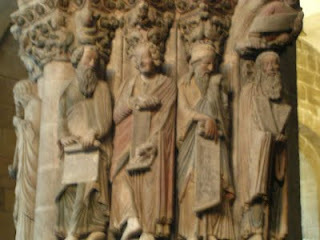 In the continuous interplay of individual and collective, of partner and partnership, there is a fine-tuning of relationship, that, in Buber’s equation, each one is to remain an “I” and a “Thou.” As made into loaves, the grain offering is always to be of matzah, unleavened bread, and never of leavened bread. As the poor bread, the humble bread, as matzah is called when raised up at the Passover Seder, Rabbi Sampson Raphael Hirsch says, “matzah symbolizes a state of political dependence…, by contrast leavened bread symbolizes independence and the power to be master over ourselves.” The danger in the puffed up way of leavened bread is that we may also look to be master over others. In the very offering through which our individual uniqueness is emphasized, whose bringing is an expression of personal autonomy, we are reminded that independence is larger than one. Through the grain offering, we learn of interdependence. As we pause on the road of life, giving others space to safely pass before us, may we remind each other in the manner of our waiting, not with flashing lights, but in the glow of a simple aleph, that the world is mine, and yours, to be shared by all. My wife and I just returned from a trip. We were on the road the day the apocalypse was predicted. It was hard to tolerate all the media attention given to this nonsense. Everywhere we went, people were talking about it. In one small Wisconsin store, the TV was blaring some movie on what the rapture would be like as an elderly clerk watched in rapt attention. When we entered an antique store on Saturday morning, the merchant harangued each customer about whether they were ready for the end of the world. Over the dinner table in Iowa, my extended family joked and laughed about the increasing silliness of religion. The conversation at the next table was similar. Even after nothing happened, the prophet of doom was in the news again, claiming a new date in October. Actually, I should have called him a "profit" instead of a "prophet." Anyone who reads the Hebrew Scriptures understands that the prophets speak for God. Their pronouncements often start with, "Thus says the Lord ..." The prophets are only intermediaries. They don't read the signs of the times and make predictions (the popular conception of prophecy). God doesn't give them a salary. And their consistent message is about how the nation is treating the poor. Our profit of the apocalypse sits atop a multi million dollar operation. He takes from the poor. He frightens the ill informed with Biblical material taken out of context. If a person really believes a loving God, as revealed in Jesus, would rapture only those believing they are saved into heaven and leave everyone else to destruction, they have a perverted understanding of Christianity. For those who believe that the primary message of Jesus was about a way of nonviolence, the trivialization of authentic traditions by radical religion is a great tragedy. "Burn the Koran! Burn the unbelievers! Burn the planet," they say! The essence of all the Wisdom traditions differs from the proponents of violence. It helps to know a prophet by the size of his purse and his treatment of the poor. For centuries the Christian tradition in the West was guided in matters of war and peace by the Just War Theory, which was designed to limit the scope of war and turned out to be a useful tool for the justification of war. The Just War Theory proposed a number of conditions such as proportional response and the protection of civilians that were to be used to guide decisions about when to go to war and the conduct of war. 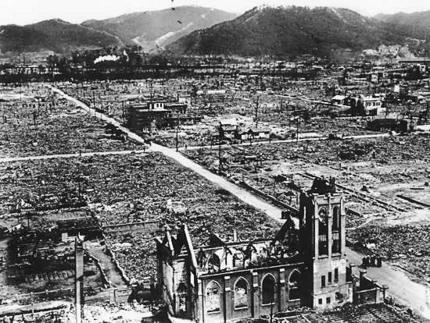 World War II blew the Just War Theory apart and cast it into the dust bin of history. Fire bombing cities and dropping the atomic bomb first on the citizens of the Marshall Islands and later on the people of Japan negated the provision to protect civilians and made the idea of proportional response antiquated. The U.S. has come a long way. As a nation, it is no longer fighting enemy armies with proportional force in order to protect civilian populations. Now the nation is in a state of perpetual war against ill-defined ideas like “terror,” and launching pre-emptive strikes against perceived enemies who are, or who may be able to become a threat to “our way of life.” So fortified in such beliefs, in a matter of hours and for avowedly humanitarian purposes, in an act of undeclared war with an undefined aim, twenty-two missiles costing a million dollars apiece are sent into the capital city of an undeclared enemy. And, then, without pausing to take a deep breath, the leadership proceeds to announce that the national debt is out of control, the already shredded safety-net must be shrunk once again, unions must be stripped of their collective bargaining rights, the country is powerless to raise taxes, and nothing can be done to reduce national unemployment which stands officially at over nine percent, and in the black community is close to Depression levels. In the pursuit of Realism the country has exchanged a vision of utopia for a moral myopia. Truncated vision and emaciated economics are signs of ethical ineptitude. What is needed now is a spiritual recrudescence; an awakening. 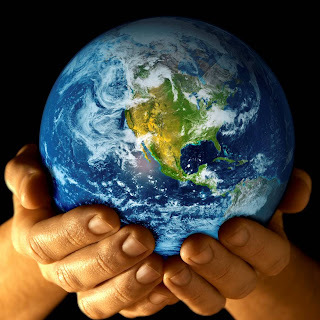 Two measures of this new spirituality are: 1) overcoming a binary vision that divides the world into “us vs. them” thereby making the world more flammable and encouraging a culture of violence, and 2) replacing the atomistic economics of extreme individualism with responsible economics that contributes to the common good. People can begin in their own communities and with their own household budgets. And, with mutual encouragement and support, all can learn once again that the heart of a true democracy is an informed and engaged citizenry. Jingoistic crowds erupted with frat-boy glee shortly after President Barack Obama announced the extrajudicial assassination of Osama Bin Laden earlier this month. After all, America’s public enemy Numero Uno -- our own veritable Darth Vadar – had lost what the mainstream media depicts as a Manichean battle ten years in the making. The lone voices in the wilderness that dared to point out the covert operation violated elementary norms of international law were quickly dismissed as “fanatics”. According to prevailing wisdom in the United States today, the best way to eradicate the world of a hateful ideology is by deploying 80 commandos on the home of an unarmed suspect and murdering him on the spot. Yet, we already see the entirely predictable consequences of the Osama bin Laden raid. In Portland, Maine, a mosque was defaced just hours after the news broke of bin Laden’s death. The graffiti read, "Osama Today, Islam tomorow" [sic]. Less than a week later, any misconception that the so-called Global War on Terror was winding down was dispelled when a drone attack killed at least eight people in Pakistan’s North Waziristan. Meanwhile Secretary of State Hillary Clinton disingenuously conflated al-Qaeda with the Taliban and, with bellicose bravado, declared the U.S. would continue its war in Afghanistan. And, in Pakistan, hundreds of Jamaat-ud-Dawa activists prayed in Karachi for their new martyr: Osama bin Laden. 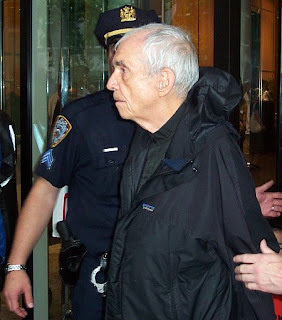 Many great minds have questioned the logic of retributive violence, but perhaps none as persistently and unwaveringly as Father Daniel Berrigan. Today, the lifelong social justice activist and renegade Jesuit priest turns 90 years old. At a time when self-proclaimed Christian politicians espouse a Tea Party-inspired theology of xenophobia and vengeance, Berrigan is a rare soul that continues tirelessly opposing violence in its many forms. Along with his late brother Phillip, he has publicly opposed aid to alleged anti-Communist forces in Southeast Asia, the use of American forces in Grenada, the installation of Pershing missiles in West Germany, aid to the Contras in Nicaragua, intervention in Afghanistan during the Soviet invasion, the Cold War, and the Gulf War. 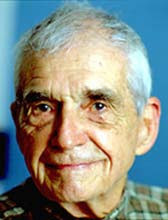 Berrigan also vocally opposed the U.S. wars in Afghanistan and Iraq. For Berrigan, Christianity is a counter-cultural practice directly at odds with the prevailing national culture of retributive justice. Arrested more times than he can count -- but “fewer than I should have been,” Berrigan says -- he has spent over half a century digging mock graves on the Pentagon’s front lawn, pouring vials of his own blood on Capitol Hill, vandalizing army airplanes, hammering on nuclear nosecones, turning his back on judges during his sentencing hearings, staging hunger strikes in prisons, undergoing strip searches for educating his fellow inmates, and standing in court on charges ranging from “criminal mischief” to “destruction of government property” to, most egregiously, “failure to quit.”  Berrigan fears moral suicide over physical death and regards moral autonomy as more liberating than physical freedom. Last year, after badgering members of the Catholic Worker community across the country, I tracked down America’s most famous living priest. When I arrived at Berrigan’s Lower West Side friary in Manhattan, I half expected to find a Bible-toting warrior, but on that clement morning, I walked into the friary’s cozy hallway to find a slightly hunched elderly man with a meek smile and skin crinkled like aluminum foil. Greeting me with the softest, gentlest “hello” that I’ve heard since my first day at Montessori school, Father Berrigan clasped my hand and led me into his tastefully decorated office. The walls of his office showcased posters of freedom fighters such as Mahatma Gandhi, a child’s drawing of a circus clown, and framed quilts of butterflies. Among his impressive collection of books are volumes by his longtime heroes: Dorothy Day, Martin Luther King Jr., and Thomas Merton. Just shy of his ninetieth birthday, Berrigan spoke with me for an hour and a half, patiently answering my many questions and stopping only twice or so to cough. In a world still wracked by violence, Berrigan’s peace testimony remains largely unheard and his pacifist views are too often dismissed as naïve. As we celebrate his lifelong commitment to social justice activism on his birthday, may we remember his startlingly clear message that violence is not the answer even when it’s seems most tempting and most justified. As Berrigan and so many others have noted, our convictions matter most when they’re tested on the crucible of life -- not when they are easy, safe, and fashionable. If we believe in a world in which international law triumphs over unilateral action; mercy triumphs over vengeance; and clemency over sacrifice then Berrigan’s lifelong testimony teaches us that there are no exceptions. For more see Gary Smith, “Peace Warriors,” The Washington Post Magazine, June 5, 1988, W22. June 5, 1988. Two mothers, from different continents, different cultures, different faiths. One of them grieves a son killed in the World Trade Center on September 11. 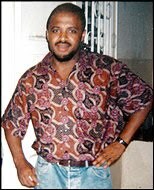 The other grieves a son now imprisoned for life (without parole) for supposedly being the plot's "20th hijacker." Today is Mother's Day. 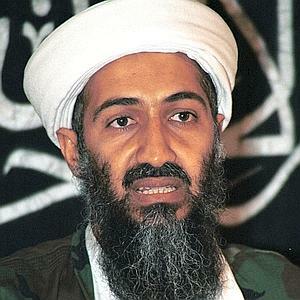 We are only a week removed from the killing of Osama Bin Laden and the explosion of raw emotions it set off. It seems a particularly apt time to lift up the remarkable relationship of these two women, who many would expect to be enemies. They are not enemies. They are dear friends. By overcoming fear, anger and suspicion to acknowledge their shared grief and common humanity, they have united to "fight for peace and love in the world." [We] sense that our government is heading in the direction of v iolent revenge.... It is not the way to go. It will not avenge our son's death. Not in our son's name. Our son died a victim of an inhuman ideology. Our actions should not serve the same purpose. Let us grieve. Let us reflect and pray. Let us think about a rational response that brings real peace and justice to our world. But let us not as a nation add to the inhumanity of our times. ‎Now meet Aicha al-Wafi--like Phyllis Rodriguez, also in her sixties. Muslim, born in Morocco, she has lived most of her life in France, having emigrated there with her husband when in her teens. Eventually fleeing the violence in her home, she worked as a cleaner and civil servant, raising her four children alone. Son Zacarias Moussaoui (pictured below left)--"the child I never had a problem with," Aisha says--was roughly the same age as Greg Rodriguez on 9/11. Aicha recal ls how on September 13, 2001, her daughter called "to tell me that Zacarias was on television. I couldn’t recognize my son–the picture was horrible. I knelt down in front of the TV and yelled, 'It’s not true, it’s not my son; it’s not possible!’ They were suggesting he was connected to the terrorist attacks, but he had been in jail in the States since August for visa violation. I was beside myself. I couldn’t eat or sleep. Friends said I wasn’t to blame, but I said, ‘How can I not feel responsible for something he may have been involved in?’"
Zacarias was in prison awaiting trial. Through the organization Murder Victims' Families for Reconciliation, Aicha asked to visit with some relatives of those killed in the attacks of 9/11, and Phyllis was among those family members who agreed to gather privately, in a secure location. "When I thought of the people who had died and of their families," Aicha says, "I knew my suffering was not the same, and I wanted to give my condolences and apologize. While I knew my son was not directly responsible for the attacks, extremist thinking like his had created a climate of hate." Aicha and Phyllis both acknowledge that they were "scared" on the day of their first meeting. Encouraged by her interpreter "to be strong even if you are going to be rejected," Aicha entered the roomful of Americans, her heart beating double-time. Then her eyes landed on Phyllis. "Something like a magnet drew me to her," she recalls. "We fell into each other’s arms and cried for a long time. I felt her heart beating as fast as mine." Then Aicha turned to the others in the group and said, as an opening, "I don't know if my son is guilty or innocent, but I want to apologize to you for what has happened to you and your family." Phyllis says that this first encounter with Aicha "changed my life, because it changed my direction emotionally. It was the beginning of my learning that someone like Aicha, who has suffered so much, could still be emotionally generous. It brought out the generosity in me and I felt better for it. Since then I’ve learned that one way to heal is to bridge the gap between ourselves and the ‘other’. A Moroccan Muslim woman living in France and a secular Jewish woman living in the U.S. are no different, because our hearts are joined." With Phyllis learning French in order to converse more freely with Aicha, the two mothers began to communicate regularly. When Aicha returned to the U.S. in 2005 to fight against the death penalty for her son, who had pleaded guilty to conspiracy charges, Phyllis offered her support behind the scenes, and her husband Orlando testified on Zacarias's behalf, as did a dozen other 9/11 family members. (This was the first time in the U.S. that relatives of victims had ever served as defense witnesses in a capital crime case.) While Zacarias admitted to being a member of Al Qaeda, no evidence was ever presented that tied him to the World Trade Center conspiracy. Even Bin Laden himself, who was never shy about taking or giving "credit" for terrorist acts, disavowed Zacarias's complicity. In the end Zacarias was sentenced to life without parole, though according to the Associated Press a half-dozen jurors wondered if he'd had much, if anything, to do with the attacks. "When I watched Zacarias at the trial my heart was broken," Phyllis recalls, "because I could not look at him as a stranger. He is the son of my friend." Today she continues to support Aicha in her campaign for the legal and human rights of her son. Aicha's deepest hope is that Zacarias might be allowed to live out his life sentence in a French prison. Since their first meeting in 2002, Aicha and Phyllis have made public appearances together throughout Europe and the U.S., telling their story of reconciliation and forgiveness. In 2007, they were joint recipients of the Die Quadriga Award, being recognized as “role models for reconciliation." Over the years since 9/11, and especially as her friendship with Aicha has developed, Phyllis has been refining her understanding of forgiveness. "When Greg was killed, I thought, 'I will never forgive the people who murdered my son'. But I have come to see forgiveness as more than a word; it’s a context, a process. I don’t forgive the act, but trying to understand why someone has acted in the way they have is part of the process of forgiving. Forgiveness is being able to accept another person for being human and fallible. To me, forgiveness is the recognition that we are all capable of anything–both good and extreme evil." "It's ignorance that enables us to hurt the other," says Aicha, and these two mothers are certainly doing whatever they can, at home and abroad, to counter such ignorance. The way isn't always straight nor smooth. Reaction to their message, as to their friendship, has been mixed. Some people are surprised, even incredulous. Others are critical, even hostile. Phyllis welcomes all reactions, even the negative ones, which offer "the opportunity to enter into debate with people." And she draws comfort from a very particular memory of her son. 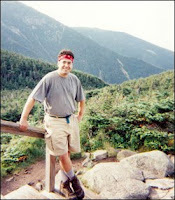 "I remember when Greg was fourteen and returned home from a summer in Salamanca [Spain]. He was so surprised that the Spanish felt so much animosity towards the French. The conclusion he drew from this was `I hate nationalism'. I have no doubt that he would think my friendship with Aicha was wonderful, and that he would appreciate the irony of the situation." In the following video, taped in December and released this week on Ted.com, just days after the killing of Bin Laden, Aicha al-Wafi and Phyllis Rodriguez make a gut-wrenching appeal to all of us--especially the mothers among us, "because we love our children." As you'll hear Aicha say, "[We] have to be generous. [Our] hearts must be generous. [Our] minds must be generous. [We] must be tolerant. [We] have to fight against the violence." May this tale of two mothers speak to you profoundly on this Mother's Day. In the aftermath of the news of the death of Osama bin Laden, I awoke this morning feeling lightheaded, and slightly off balance –and grateful that I could take my visceral reactions into my morning yoga class and move the uncomfortable energy out of my body with the help of my wise teacher. Several images keep surfacing in my mind’s eye. An image of President Obama – full screen – full face – telling the American people that “justice has been done.” An image of young people –perhaps in Boston or Washington or New York City, rallying jubilantly in the streets, waving flags and chanting “USA! USA! 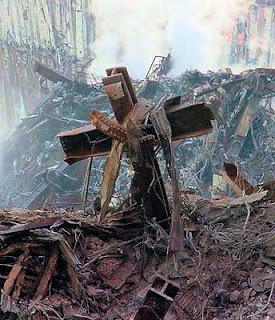 USA!” An image of 9/11 victims’ families once again weeping in each others’ arms. The image of a human being backed into a corner and purposefully shot to death in the presence of witnesses who may or may not have been members of his own family. To thread my way through all of this to an integrated place of compassion and nonviolence seems more than this small consciousness can do. I have read that the young people need to rejoice. So many of them were young children when the September 11th attacks took place. They have lived with the threat of terror almost all their lives. 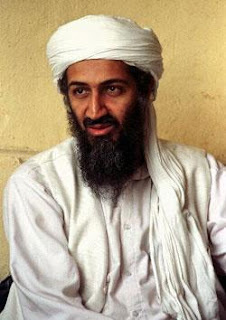 The death of Osama bin Laden in some way symbolizes a release from that fear. In spite of my resistance to their dancing, my heart opens a little in understanding. I feel myself shrivel inside when I hear the words “Justice has been done.” It seems more like revenge to me. But when I open a little to seeing that for some, bin Laden’s death closes a little more the circle of sorrow and pain, I come closer to an inner sense of balance. For some, indeed, a sense of justice is fulfilled. When I contemplate the collective fear and rage that simmers, and I can recognize that fear is the determinant of our response to the threat that bin Laden represents, then my heart opens wider with compassion for the fearful. There is often a felt “push” to come down in a particular place of judgment when an event of such volatile magnitude happens. In the initial stages of integrating this most recent painful reality, a vast aching is all I can come up with - - hardly a decisive opinion. So, for the moment, I am entertaining the notion that the nonviolent response I can authentically make is to hold the space for all the conflicting emotions and judgments and responses going on within and around me - - to allow it all to be - - to become a safe place for each expression and response to be received without judgment. This requires a lot more trust in the Oneness of All than I am often able to keep in consciousness - - but today it is where my hope resides. I am reminded of a traditional story I heard years ago about the healing power of nettles. They are plants with sharp stinging barbs that wound the flesh – but they also have healing properties for certain kinds of illness. Running through them can produce terrible pain - - but the pain may result in an eventual healing. I wonder if this is one more episode of running through the nettles on the way to a greater good. Oh, if it were only so. Eric Whitacre (pictured left) is an accomplished conductor and composer of classical choral music, one of the most performed composers of his generation. In the past couple of years, he has joined his talents with the voices of singers around the world to present a new type of choral performance: the "virtual choir." Whitacre's most recent effort, just released in April, is a virtual choir performance of "Sleep," a piece he composed in 2000, using lyrics penned by his good friend Charles Anthony Silvestri. The virtual choir's performance of "Sleep" was an incredibly ambitious and technologically demanding project. To quickly summarize, last summer Whitacre recorded a video of himself conducting the a cappella choral piece, then added a piano track to aid the singers, who were yet to be recruited. Next, to muster a massive company of sopranos, altos, tenors and basses, he published a blog post inviting participation in the "world's largest Internet choir," welcoming vocalists of any age. Within just a few hours after Whitacre's blog post appeared on the Internet, three singers (two from the United States and one from Portugal) uploaded to YouTube videos of themselves performing their choral parts to "Sleep," sung in sync with Whitacre's conducting video. By the submission deadline in January of this year, those first three singers were in the happy company of 2,049 others, from 58 countries around the world, from Madagascar to Thailand, Egypt to Vietnam, Malta to Israel. They lived in places as far north as Alaska and as far south as New Zealand. The audio was eventually extracted from all the singers' video files. Then those 2,052 audio tracks were individually synced to the conductor track. Gradually, with much high-tech and musical effort on the part of sound engineers, Whitacre and others, the "whole choir sound" was developed. At last, the soundtrack was integrated with visuals to create the virtual choir video, which debuted on YouTube in April. The performance (see video below) is beautiful beyond belief. Reflecting on this creative experience at Ted 2011, Whitacre said that two things had struck him deeply. "The first is that human beings will go to any lengths necessary to find and connect with each other. It doesn't matter the technology. And the second is that people [who participated] seemed to be experiencing an actual connection. It wasn't a virtual choir. There are people now online that are friends; they've never met. But, I know myself too, I feel this virtual esprit de corps, if you will, with all of them. I feel a closeness to this choir, almost like a family." As I've watched and listened to this video, many times over, and as I've considered the incredible effort that went into its creation--not only on the part of Whitacre and his techie friends but also on the part of the singers, many of whom apparently did dozens of takes, trying to perfect their parts before uploading their best performances--I too have been deeply struck. By many things. Perhaps most especially by the humanizing effect of the technology that is at work here. I confess: I harbor great suspicion of much of today's interactive technology. I've been avoiding Facebook like the plague. I decline to carry a cell phone unless traveling (and then I rarely turn it on). As a friend wrote me recently, "If you have the technology and use it, the usage tends to expand and consume more and more of your life and time. How much is too much of a good thing?" It's difficult to keep technology in its place, where it enriches life instead of distancing us from it, where it connects us to others and deepens relationship instead of distracting us with superficial and time-consuming busyness. In the latter case, I believe, interactive technology ironically makes it more possible for us to ignore one another, or to not appropriately value one another, or even to do violence to one another, in words if not also in deeds. But Whitacre's use of technology--this, to me, is beautiful. The lyrics of "Sleep" are not, for me, the source of its power. The source of its power is the blending of the voices. Thousands of voices, from thousands of places. Thousands of voices who are stories, who are lives, who have dignity and value in their own right just because they are. Hearing their voices, we know that they are. Hearing their voices together, we know that the world is, and we also know how the world can be. Sleep, sleep, sleep . . . Note: If for some reason you can't see the viewer above, please click here to watch the video in standard definition, or here to watch in high definition.